Written by cleartarn CMS on Sept. 27, 2013 in cleartarn Blog, cleartarn Content Management System, Estate Agents Website System, Property Portal Feed, Real Time Data Feed, Search Engine Optimisation (SEO). The cleartarn Property Website and Rightmove System is a self contained internet based content managed website and Rightmove property upload system which is controlled from any internet connected PC, tablet or phone. 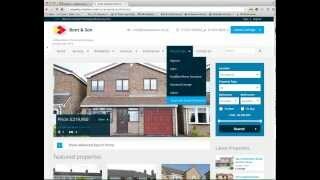 Enlarged Rightmove data limits for photographs, videos, audio tours etc.